Sports betting is one of the biggest industries in the world. Many countries have legalized sports betting in both online and brick-and-mortar venues. The online sports betting market is vast, filled with tons of online sportsbooks, though not all of them are legitimate. This guide will introduce you to the best legally sanctioned sportsbooks that accept bettors from around the world (including US bettors). All of these sportsbooks have been vetted by our team of industry analysts and possess the necessary features and standards to provide a high-quality online sports betting experience. With solid betting lines, wagering types, odds, features like mobile and live betting and bonus incentive packages, these sportsbook brands are leading their industry. Below you find a list of our top three suggested licensed offshore sportsbooks. Click the links provided to be taken to our specific pages explaining the sportsbooks in more detail, including their different bonus packages and other incentives. Bovada is the leading sportsbook brand for US residents. They have the proper licensing credentials and are regulated by a respected governing jurisdiction. Their Welcome Bonus gives you 50% up to $250 with your first successful deposit. The odds, betting lines and wagering types offered are all up to par with what you would find at Las Vegas bookmakers. The site also provides features such as mobile betting, live betting and live in play betting. 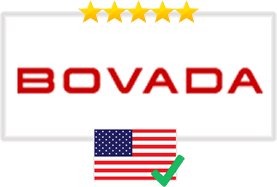 Bovada accepts customers from most US states and is considered the most reputable site in the industry. BetOnline is one of the most well-known brands in the online sports betting community. BetOnline holds licensing from Panama City, Panama and is regulated by their government. Their current Welcome Bonus gives you 50% match up to $2,500 on your first deposit. Their Lifetime Bonus Guarantee grants you a 25% match up to $1000 on all qualifying deposits for life. 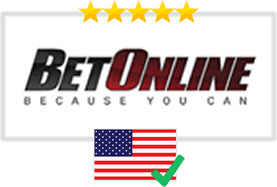 BetOnline accepts bettors from all over the world, including the United States. They maintain a competitive presence with a strong selection of sports categories to bet on, and an impressive range of betting lines and wagering options. SportsBetting.ag is a reputable licensed sportsbook in the industry and has been around for years. They accept bettors from all over the world, including North America. Their Welcome offer grants you a 75% match bonus up to $1,000 on your first deposit, and a 25% match up to $1000 on all subsequent deposits. They are licensed and regulated out of Panama, one of the more respected governing jurisdictions that regulate offshore betting. They were acquired by the BetOnline brand just a few years ago. The betting lines, odds and wagering types at SportsBetting.ag are similar to what you find at BetOnline, including the mobile and live betting features. Read our full review of SportsBetting.ag to gain a better understanding of the online sportsbook. In order to find the most legitimate and high quality sportsbooks, you have to be aware of certain aspects. This next section will give you insight into how we determine which sportsbooks are best. As you will see, there is a lot that goes into our screening process. This checklist is necessary in picking the best sportsbook options. Legitimacy—The most important thing to verify with offshore sportsbooks is their legal licensing. Americans are only legally able to place bets with licensed US sports gambling sites that are located offshore. The next item with establishing legitimacy is regulatory oversight. Our sportsbook recommendations are all regulated by respected governments. These sportsbooks are part of bigger offshore gambling sites that also offer online casino games and poker. These games require compliance certifications for fairness. In accordance with these certifications, our sportsbook brands incorporate RNG (random number generator) technology to ensure fair play. Compliance certifications also extend to meeting the standards of quality set out by the governments that regulate these brands. Security Profile—There is a lot of sensitive information involved with any sort of online transaction. This includes personal information, such as your name, address, country, email, etc. Making a deposit into your sportsbook account requires some sort of financial information (potentially your credit/debit card information should you choose that as your deposit method). You can rest assured that this information will be kept safe on these sportsbooks through data security encryption. Quality of Services—Each sportsbook brand is different. They will have varied betting lines, wagering types and so on. Our team of industry analysts looks for a wide range of betting lines from sports around the world. This gives bettors a more comprehensive sports betting experience. The more betting lines available, the more bets you can place and therefore the more chances you have to win. The number of wagering types available is a strong determinant of a high-quality sportsbook. Wagering types make the experience more interesting and mix up the types of bets you can place. Other noteworthy features include mobile and live betting. Mobile betting allows you to take your betting action on the go and live betting provides an alternative betting experience where you can bet in real time. Bonus Offers—Bonuses are arguably one of the most defining characteristic of online sportsbooks, especially when comparing them to brick-and-mortar destinations. The online gambling industry encourages these bonuses and most reputable online gambling brands offer them throughout the year. These offers come in the form a match deposit bonus in most cases in which the sportsbook is agreeing to match a certain percentage of your deposit up to a designated maximum amount. Banking Suite—With online sportsbooks, banking suites are the most fluid. Each brand provides different options and they ultimately depend on where you are betting from. In testing sportsbooks, we check to see if their banking suite functions efficiently with multiple transaction methods, speedy payouts and how reasonable their fees and minimum/maximum requirements are for deposits and withdrawals. We also investigate their turn around times and their reputation for reliable payouts among the online gambling community. Competency of Support—Customer service is a vital component of any successful business. High-quality offshore gambling sites should have a strong customer service team that is competent and knowledgeable. You can usually contact customer support at our featured online gambling sites through a variety of methods, including phone, email or even live chat. We ensure that our recommended brands have a responsive customer service team that can address any questions or concerns as they arise. Most reputable sportsbooks’ customer service can be reached 24/7. Reputation—With the number of online sportsbooks out there, reputation is a critical aspect to consider. The sportsbooks our team has pinpointed have been in the industry for years, servicing millions of users from around the world. Reviews are a solid way of determining how a business operates, both from a user and industry perspective. 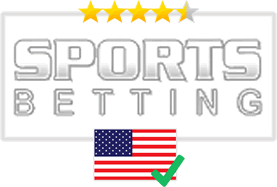 The best sportsbooks have favorable reviews from the bettors who use them, including both amateur and professional sports bettors. We obtain feedback from both sports bettors and industry professionals alike in order to learn about issues like slow payouts, glitchy interfaces, unreasonable wagering requirements, poor customer support, questionable business practices and things of that nature. Our constant presence in the online gambling community grants us access to user feedback on a large scale and we consider this feedback invaluable.